Who is dressed most inappropriately for the hot weather? Top points go to thick tights and all-over nylon. Look out for the ‘fashion conscious’ as there are points aplenty to be scored here. The worst tattoo award. There will be plenty to choose from. Remember, you’re at Disney and dolphins are popular (dare I say common?) so only score one point. Bonus points go to badly executed tattoos of babies and children. Pin the tail on the couples about to kill each other. After a magical Disney day, which ones will be taking advantage of the $99 divorce you’ve seen advertised on the roadside? Spot the child wearing the most polyester. Because, yes, in the Magic Kingdom it is okay to dress your child as their favourite Disney character in 90 degree heat and not bring a change of clothes. Note that it’s not good gamesmanship to play this in a thunderstorm as the static generated makes the spot too easy. Guess the combined weight of the family. The weight of any mobility scooters must not be included. Really, you’ll be spoilt for choice with this one. As the name of one saccharine ride at the Magic Kingdom states “It’s a small world”, and at Disney World you’ll find a microcosm of the world’s good, bad and ugly. If you enjoy people watching then this is truly the place ‘Where Dreams Come True’. If you’d like some super (and proper and practical!) 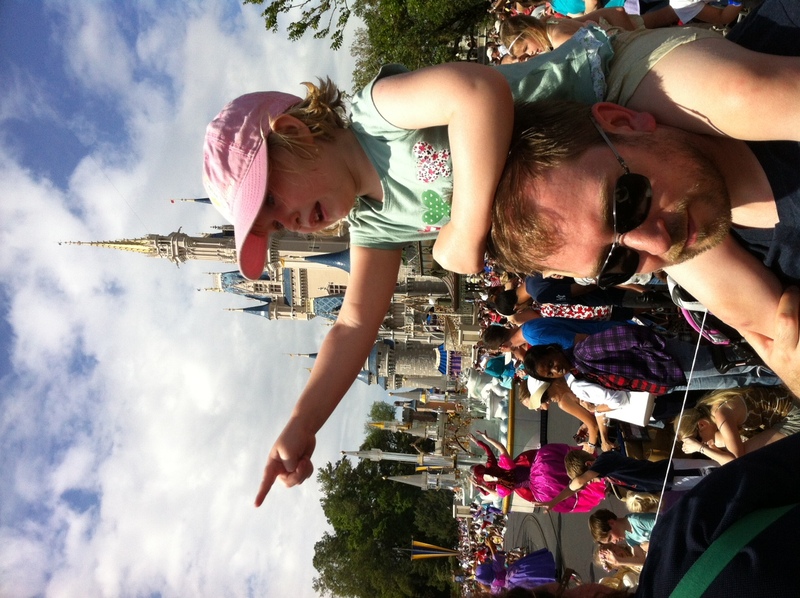 advice on a trip to Disney World visit SAHMlovingit’s Beginner’s Guide to Orlando and Walt Disney World. They made me feel quite ill (although not as ill as they look). As the words “what kind of role model are they?” fell out of my mouth my husband looked at me like I’d whipped off my bra, strung it up and was holding a match to it. 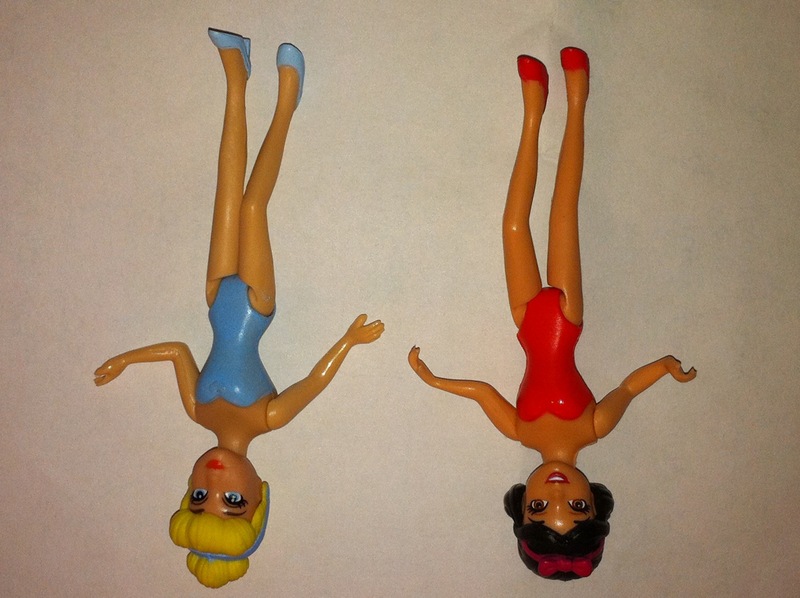 According to him the dolls are built like Twiglets for a practical reason – they are dressing up dolls and thus it needs to be easy for grubby fingers to get their rubber dresses on and off. Re-read that last sentence and yes it does sound like Snow White and Cinderella are putting food on the table by working the gentlemen’s clubs. But now I’m sullying these perfectly innocent toys which were, I admit, brought into the house by mummy and daddy (well, daddy) as a birthday gift from our 6-month-old son to his big sister. My daughter loves playing with them and I’m sure they are having no immediate impact on her psyche. She equally enjoys playing with the Playmobil fire engine we bought her and I’ve not been fretting about the absence of a firewoman in the playset (tut, tut). What worries me is the cumulative effect of all the tiny-waisted princesses my daughter will grow up with, whether they be Sleeping Beauty or Cheryl Cole. I’ve never wanted her to be enchanted by everything pink and glittery but that’s what has happened as more and more things spread around the house like a sparkly fungus. It’s the fascinating debate about whether it’s nature or nurture – do girls naturally gravitate towards ‘girlie’ things whilst their brothers pick up a spanner and stride towards the Meccano? Is there anything parents can do to prevent the mighty advance of nature?